We all know the traditional speech from the first day of film school. The Dean tells the incoming students, “Look to your left and to your right. These are the people that you will be spending the rest of your career working with.” It’s the oldest speech in the book for a reason: ask any SCA alumnus with a long record of success and they’ll tell you it’s true. On a technical level, Reality Ends Here is a fifteen-week collaborative production, alternate reality game. In layman’s terms, it’s a new way for students to meet, network and start working together creatively. The game came out of a committee created by Dean Elizabeth Daley to envision the future of SCA. “One key initiative for that committee was to establish a ‘gateway experience’ for incoming students that introduced them to the changing media landscape, the history and future of the School, the possibilities that can emerge from the SCA network of current and past students and the importance of bridging the divisions of the school while they are here, both socially and academically,” said Interactive Media Division Chair Tracy Fullerton, who was one of the committee’s original members, along with professors Holly Willis, Steve Anderson, Tara McPherson, Mary Sweeney, Michael Patterson and Michael Peyser. The gateway class, which is being taught by Tara McPherson, was designed by the committee to introduce a new kind of social networking for SCA students, both on and offline, that would become critical to their involvement in courses and with each other. “As the class developed, it became clear that a game layer would be a perfect way to achieve all of the goals set out by the committee without falling victim to the general survey or lecture class tradition we wanted to move beyond,” Fullerton continued. During orientation, a flag was flown off the balcony of the SCA Complex with Reality Ends Here’s logo on it. A super 8 camera with a coded message instructing the students to report to an unmarked office on the second floor was under the flag. The students deciphered the code and found the game office. 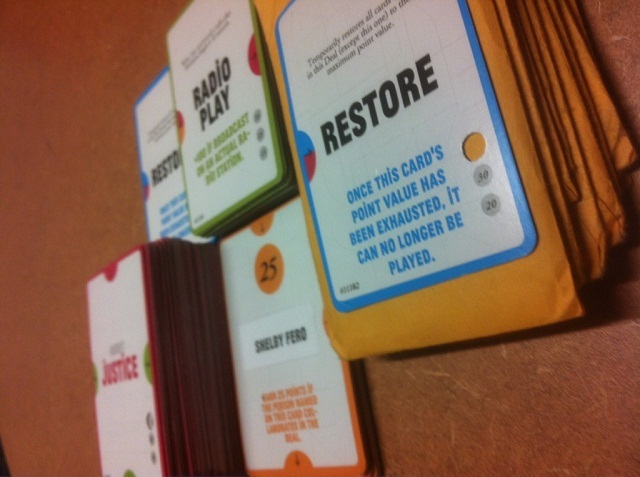 Once the students had found the game office, they could pick up their Reality “packs” – a deck of 10 playing cards, different cards for each player, that contained prompts and challenges that can be combined to create any number of creative deals. For example, one student might have a card challenging them to make a “30-second short.” Another student could have a connecting card that with the property “in an elevator,” and a third student has another connecting card that stipulates that they must “use the colors black and white.” The cards are each worth points, with bigger deals generating higher scores. All students who participate in the deals get the total number of points in the deal. Collaboration was the key to success. Once a deal is struck, the students all work together to answer the challenge described by the prompt they’ve created. Some deals include cards that prompt them to meet and involve other freshman, or to link multiple projects together from various divisions – such as a shared story universe between a game, a video and a poster. Once students have created a piece of media for a deal, they upload it to the game website at reality.usc.edu. They also have to come into the game office to show the cards that they used to make the deal and film a “justification” video. In the justification video, the students have to describe their deal and how each of the cards applies to the project. Each week, the students with the most points are rewarded with a very special prize: an encounter with an SCA alumnus or other well-known media maker. 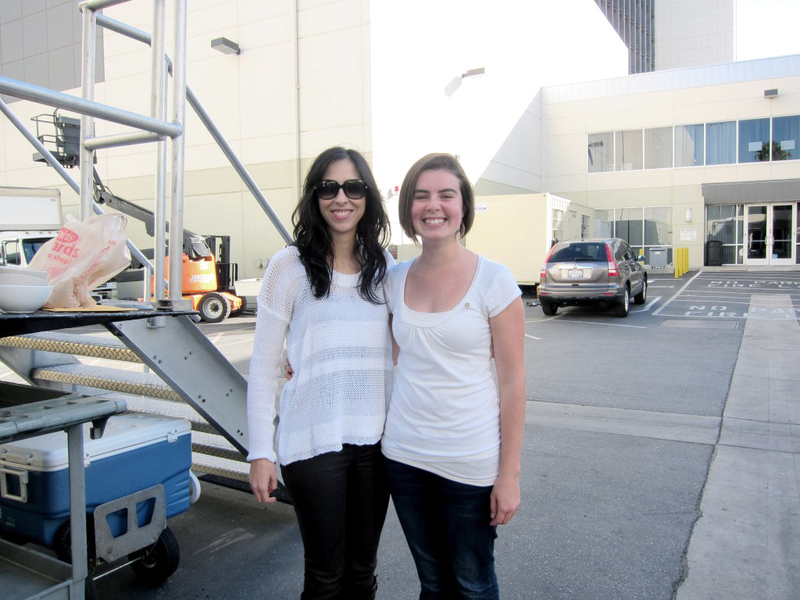 Some of the encounters that students have had so far include meetings with director John Singleton, screenwriter John Watson, cinematographer Dante Spinotti, game designers Kellee Santiago and Jenova Chen, writer/director John Waters and a visit to the set of Mad Men with writer Erin Levy. The students have universally said that the game and the reward encounters have opened their eyes to both the future and the history of media making. When it comes down to nuts and bolts, the basic unit of Reality Ends Here is the deal. 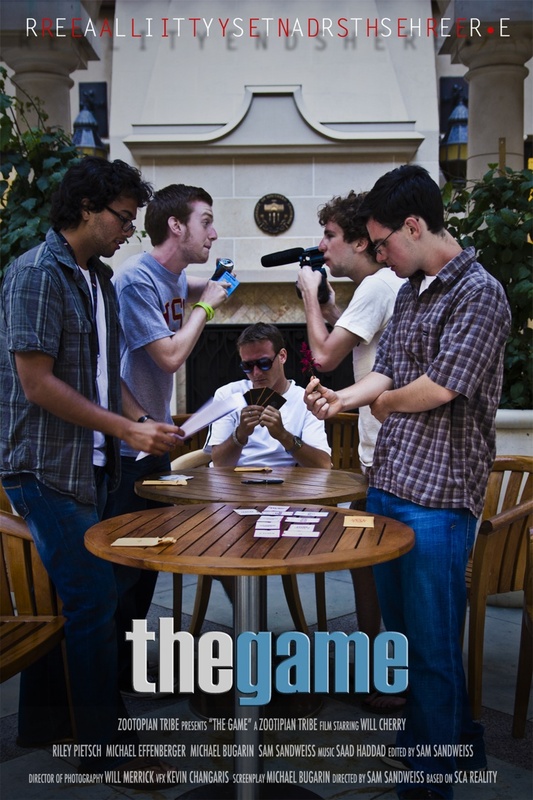 In the third week of the game, a group of ten students made the biggest deal in the game up until that point by producing the trailer, “The Game,” a loving homage to the game itself. The mega-deal was born as a reaction to a group of students who started gaming the system. One “super team” organically emerged with the intention of winning every week. Marra’s strategy worked. The first two weeks, the top points earners were both members of Marra. In the third week, however, the idea of a “super deal” emerged. The biggest deal in the history of the game was born, not out of great ambition but out of mocking the seriousness of the game. “We decided that we wanted to make a project that spoofed how serious certain people had gotten about the game,” said IMD freshman Riley Pietsch. The vision for “The Game” came from group collaboration. The script was loose and all ideas were welcomed at the table. The filming took place in one day and the editing was done in two. They did justify and they did win. Dozens of pieces of media were formed in the game. Some students are trying to express themselves, some students are trying to win but only one, “The Game,” was making a conscious comment about how some of the students were only out to win… and they won. The students involved with “The Game” were the week three point winners and got to go to the premiere of Machine Gun Preacher at the Academy of Motion Picture Arts and Sciences. enrolled in a class called Reality Starts Here, taught by Professor Tara McPherson The irony of teaching a class about the future of media to a lecture hall wasn’t lost on McPherson. In McPherson’s class, things run the opposite of most lecture classes. To begin, students are asked to take out their laptops as opposed to putting them away. Instead of asking questions, students tweet to a class hashtag. Instead of the teacher explaining to them how media is created, the students create media. Jenkins neatly summed up the Reality Ends Here experience. In addition to being a place where students can meet each other, the experience had taught them to appreciate media and be thoughtful in their approach.